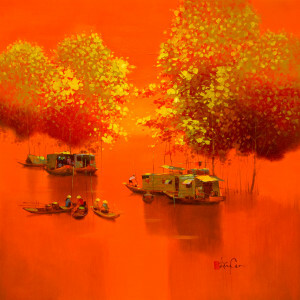 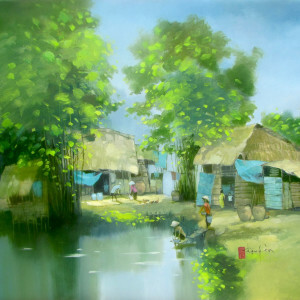 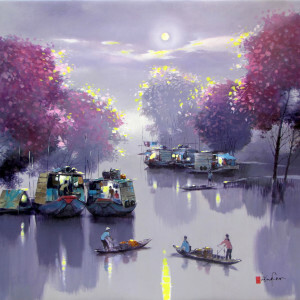 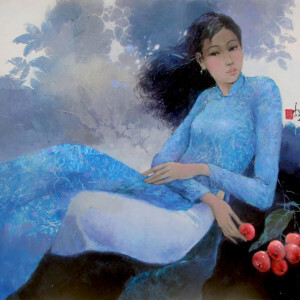 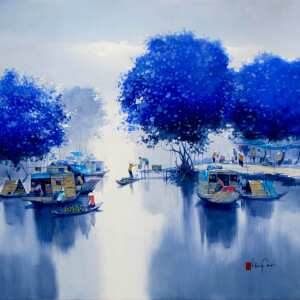 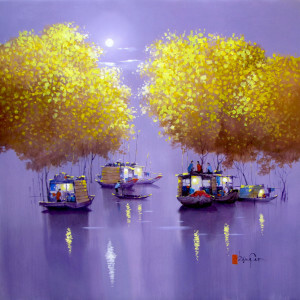 Asian artist Dang Can paints beautiful pieces on the life of the common people around the Mekong river delta. 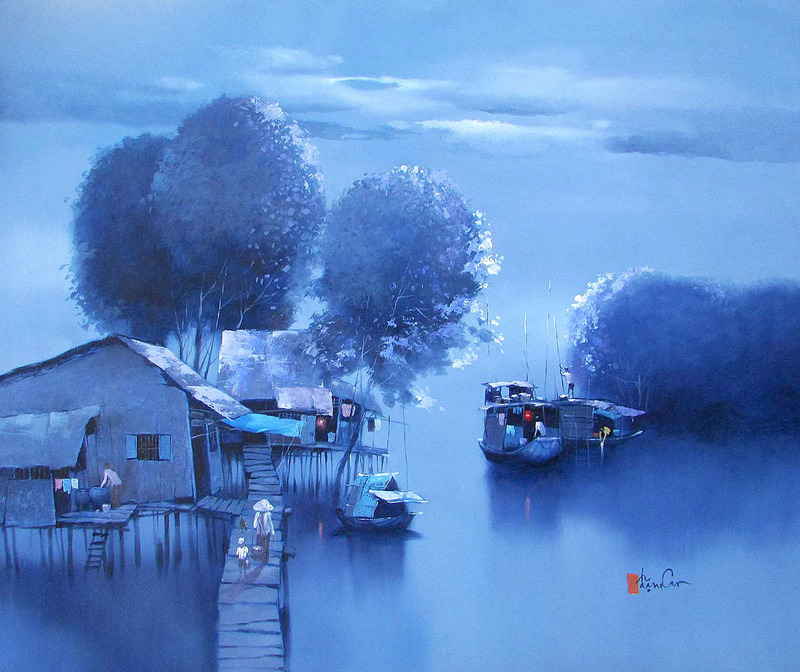 In this beautiful composition, he captures the early morning hours when the sun is yet to rise but the horizon becomes radiant. 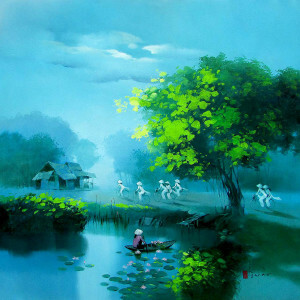 People get up and start their day’s work. 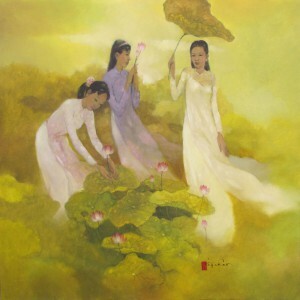 The artist expresses the poetry in nature in this profound art.